AZ PIANO REVIEWS: #1 DIGITAL PIANO REVIEW SITE! #1 DIGITAL PIANO REVIEW SITE! DIGITAL PIANO REVIEWS & NEWS by TIM PRASKINS - The #1 PLACE to get EXPERT INFO and LOWER PRICES! UPDATED: February 3, 2019 - AZ Piano Reviews & News, a division of Arizona Piano Wholesale LLC - YOUR #1 SOURCE for digital piano reviews, news, shopping & buying tips, and other useful information including how to BUY FOR EVEN LESS MONEY IN THE USA THAN INTERNET DISCOUNTS, AMAZON SALES, BUNDLES, USED, AND LOCAL STORES. If you are located in the mainland US then call me at 602-571-1864 or email tim@azpianowholesale.com. Read my reviews and related articles by using the navigation bar on this site to enter my review and news pages. If you want to ask general questions, please email me and we will respond on same business day including Saturdays. Hello to all my music friends out there! My name is Tim Praskins and I created this piano news blog many years ago as a way to provide my 40 plus years of piano and teaching expertise & experience to the public. 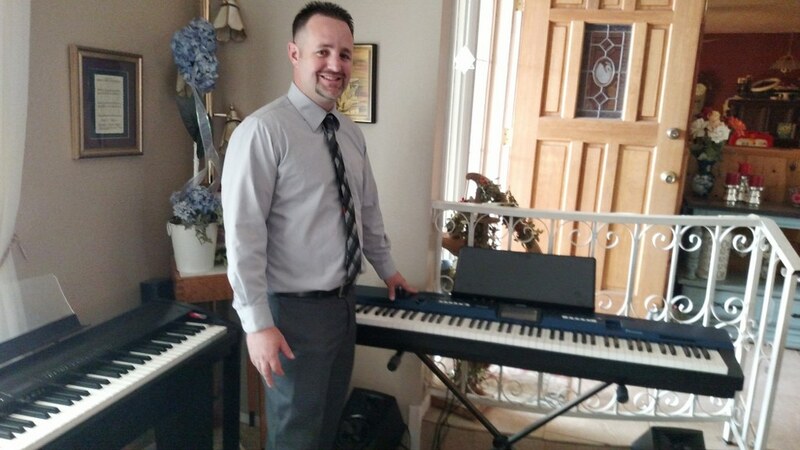 I am a real person based in Phoenix, Arizona USA and I review and talk about digital and acoustic pianos, piano and keyboard lessons, and help piano shoppers around the world in deciding which digital piano would be best for them. I am a well known international digital piano consultant to teachers, schools, churches, studios, families, and to beginner through advanced piano students. I teach a number of different instruments in my music studio where I live in Phoenix, Arizona and am a pro musician who plays acoustic grand & upright pianos, digital pianos, pro keyboards, synthesizers, church & jazz organs, and guitars of all types. I know more about digital pianos and how they compare to each other, and I have actually played and examined the ones that I talk about. I have continued to play and teach on digital pianos professionally and have direct hands-on experience with all price ranges of digital pianos so that I can advise people on what to look for and what to stay away from. There are also "inside tips" that I know about (which others do not) in helping you make a good buying decision. I do this because I want to and not because I have to or need to send you to Amazon to buy pianos so that I can make money. Music is my passion and it's much more than a hobby...it's what I consider to be a mission to see more people play music and do it on the right instrument based on their budget and musical goals. All my reviews are my opinions and done by myself for the public at large. Please click on pics for larger views! My son Erik, who is in his 30's, is quite musical (plays piano, guitar, drums) and has learned about digital pianos from me and through his own personal experience. He works with me in my studio and is very knowledgeable with digital pianos (like Father, like son:) and is definitely capable of helping you with your questions too. Erik and his wife have a young son who is battling brain damage from his fight with Leukemia that he got when he was an infant. You can read more about my Grandson, Dylan, by going to his story on the right side of this blog page. 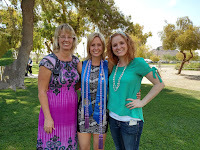 I also have three daughters, two of whom are accomplished local piano teachers & musicians and the other daughter an accomplished flute player. In fact, my two piano teaching daughters are also RN's at local hospitals as well as my wife Claudia who cares for Neonatal Critical care babies (left pic). My wife also plays musical instruments including sax, clarinet, organ, and is a vocalist as well. They are independent from me and do not work in my studio. So there is a lot of music in my family as well as extended family, and always has been. My son Erik & I will give you helpful advice for FREE (free email and/or phone conversations - phone for US residents only) because we love music and want people to experience it on a good piano that works well and sounds great. I normally charge $100 per hour for personal local consultations but we are donating our time to our internet friends wherever you may live to give people FREE consultations with no obligation whatsoever. Music is my passion and playing & teaching music is the most important thing in my life just behind my commitment to God, family, friends, and helping others achieve the satisfaction & personal expression that I have had and continue to have with music! By the way, did you some animals really like music? Yes, it's true and it is very obvious sometimes by their behavior. When I play piano in my teaching and recording studio, my dog (I call him Beethoven) always comes over and then lays down and listens to the music regardless of how loud or soft it is. In a short time after that he goes to sleep and it happens all the time because the music puts him in a restful state. I also know that playing music creates many different feelings in people including excitement, happiness, sadness, or becoming very calm and peaceful. Listening and playing music touches the soul. We are an independent entity and work out of our music studio and do not have a store, warehouse, or shopping cart for selling pianos. We don't link to Amazon or eBay to get you to buy pianos to make us money (like so many others do). Our goal is to focus on giving out real, organic piano buying advice from my teaching studio to people all over the world as well as help you purchase new digital pianos for less than anywhere else. All of my digital piano reviews are completely unique, unfiltered, organic, and updated regularly and I have thoroughly played all of the pianos I have reviewed unless otherwise noted. The information I provide is done through my own personal experience & research and playing the pianos I talk about. I am not paid, persuaded, or endorsed by any piano company or Amazon link on how I review pianos which allows me the freedom to say what I really think...unlike most others who say nice things about everything (regardless of how those instruments really are) just to link you to internet buying sites (like Amazon and/or eBay) so they can make money (a commission). I will tell you if a piano is a Best Buy, Recommended, Not Recommended, etc. My goal (as well as my son Erik) is to share with you what we know about digital and acoustic pianos, piano lesson programs, educational features of digital pianos, iPad piano & music educational apps, computer music software, and ways to shop that will help you make the right buying decision and save you a lot of money in the process including even lower prices than Amazon, eBay, and bundles that are out there on the internet in the US. Many of the top name brands I review include Roland, Kawai, Casio, Yamaha, Samick, Korg, and Kurzweil, just to name a few and I review pianos in all price ranges up to $10,000 and beyond. I also review off-brands such as Suzuki, Williams, Adagio, Artesia, and others that are found at Costco and large local consumer or music stores, or on-line stores in various places. 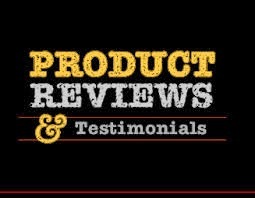 You might also look at the testimonials on this site by clicking on the testimonial navigation button because there are many organic, unbiased testimonials from people just like you who have come to us for help and share their experiences. It's good to be aware that there are many digital piano review sites on-line which are either out of date, show discontinued models as the newest models, give high marks to some bad digital pianos, and/or the "reviewers" have not actually played those pianos and the instruments are reviewed by people who generally do not know what they are talking about...and I see this all the time. These people watch YouTube videos and read consumer Amazon reviews (just like you would) and then just regenerate those remarks in different words which they call "their" review when in fact they probably never played that piano. There are many so-called review sites out there now and their names are very similar, but they are pretty much all the same. 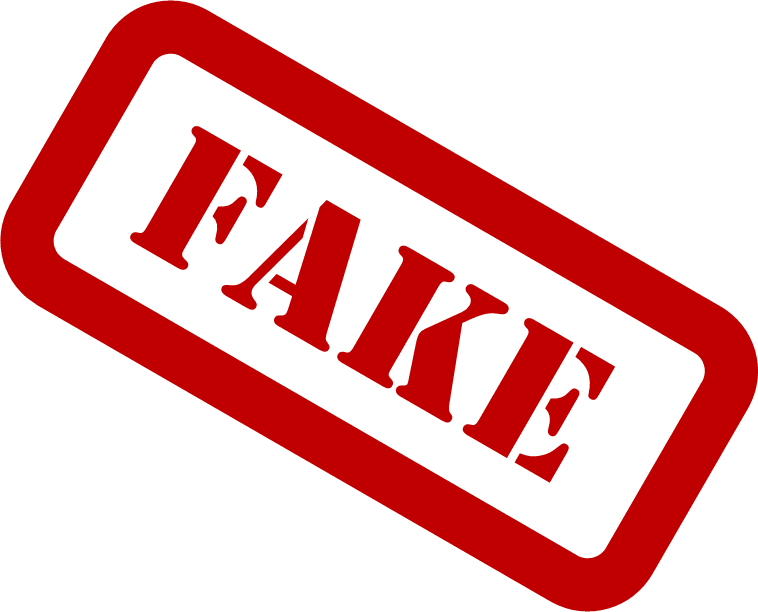 Many of these "fake" sites are controlled by a single person or group of people whose only goal is to make money off Amazon purchases by you. They make things up all the time which make no sense at all and their way of explaining things is amateurish at best. As an example of some laughable and FALSE statements a so-called reviewer has made on their site, read this statement taken directly from them: "The Yamaha YDP142R’s “Acoustic Optimizer” catapults (catapults - really? no one actually talks that way!) the Yamaha YDP142R miles (miles? - really?!) above other digital pianos out there – you may come across some digital pianos, a lot more like keyboards really (digital pianos are not keyboards), that include a pitch-bend and change the sound (that feature isn't designed to change piano sound) – but only internally, and it nearly always comes out sounding distorted (distorted? not possible), normally this would be better than nothing (nothing? what does that mean? )… but thanks to the Yamaha YDP142R you no longer have to settle (settle for what?). The “Acoustic Optimizer” PHYSICALLY (not true) changes the pitch (pitch? not true) for you by fine tuning the piano strings (there are no strings) to maximise the impact of your acoustic performance – the Yamaha YDP142R can more than just stand alone, it sounds great whilst doing it too (what does that mean? - nothing!) !" Not only is the language in that statement bad English and bad spelling, but it makes absolutely no sense at all. It is likely the "reviewer" is actually from another country representing themselves as something they are not, (along with a fake picture) just to pick up possible commissions on Amazon...I see it happen all the time. There are even some review sites that give ridiculous "rankings" and "scores" for digital pianos and keyboards mixed together, as if you could actually do that. There can be no such thing as a objective score or ranking given to a specific digital piano or keyboard because they all vary in so many ways and have different prices and are made for different purposes. 88-key digital pianos are either (overall) good with a variety of features or bad with specific deficiencies. In fact, I have noticed that many of these "fake review sites" steal my content and then post a version of it on their web sites. I know this because they would NEVER have been able to test out the pianos that I have and then come up with the conclusions that they state in their reviews. This is because they have never played those digital pianos and in fact may not even know how to play a piano at all. It is true that imitation or downright coping is the sincerest form of flattery so people stealing (coping and reusing) my blog content does not bother me (much). Unfortunately on those sites it is done solely to make money off of you, and that does bother me! If you see any of these pretend digital piano review sites that just make these things up, then we encourage you to STAY AWAY from those reviews as they are likely done just to get you to purchase product on Amazon and other web sites that pay those so-called reviewers a "commission." 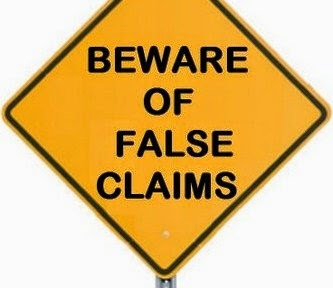 If you see Amazon or eBay buying links on those review sites, then that is a BIG RED FLAG and you should be careful! Making money by selling pianos is one thing, but recommending vastly inferior pianos or telling people things that are just not true on pianos they have never played is quite another thing! Those people really don't care about you, they just care about the money and in fact may not be who they say they are. Be careful out there and be sure you contact us first before making a buying decision and we'll give you the advice you need, and we do not charge for that advice. It is a labor of love and after nearly 40 years of working around and playing digital (and acoustic) pianos for a living, and seeing two of my children become accomplished piano teachers and musicians, I still love it:). What is a Digital Piano? 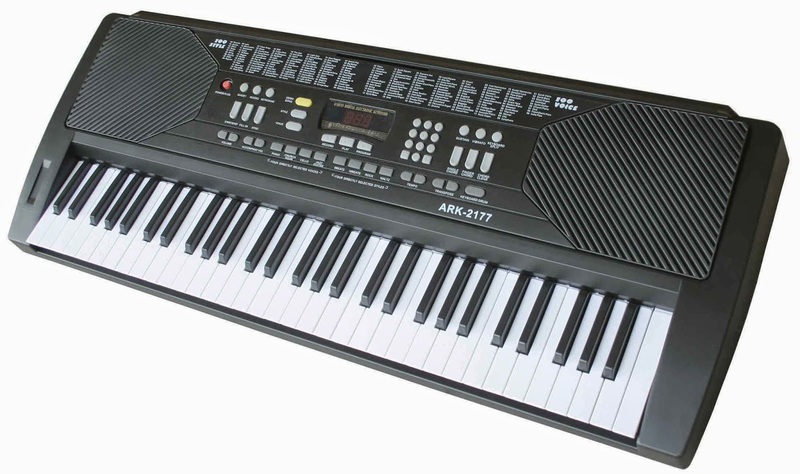 A digital piano is generally thought of as having an 88-key piano keyboard with piano weighted keys that move up and down like an acoustic piano. Digital pianos can also be referred to as an electric piano although the term digital piano is the world-wide accepted description. This instrument can be lightweight and portable, stationary with built-in internal speakers, having no speakers, having an upright piano shape, grand piano shape, or smaller compact piano shape, as well as being a hybrid version with a combination of acoustic and digital piano features. Digital Keyboards: A keyboard is missing one or more of those digital piano elements. It may sound like an acoustic piano, but not feel like one (unweighted or semi-weighted keys). It may feel like an acoustic piano but not sound like one, or it may feel, sound, and operate like a digital piano but not have 88 black and white keys (maybe just 49, 61, or 76). Please go to the following link to learn more about the differences between digital pianos and digital keyboards: Digital Keyboard vs Digital Piano - What's the difference? 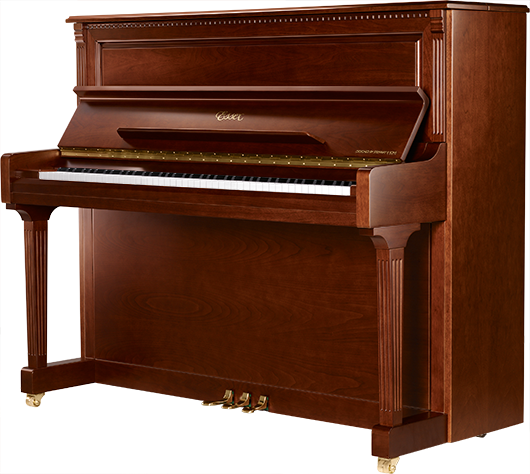 Why Choose a Digital Piano over an Acoustic Piano? Choosing between a digital piano and traditional acoustic piano can be a bit confusing because there are different opinions out there depending on what a person's musical experience is. A piano teacher you talk with may have a different opinion than another experienced piano teacher. A piano store salesperson may differ with a general music store salesperson, whereas a professional musician may agree or disagree with all of them. So it really just depends upon your musical goals, skill level, budget, and expectations when it comes to playing piano for yourself and/or for your children. I happen to like both acoustic and digital pianos but I am more fond of digital pianos when it comes to overall music learning and piano playing pleasure. However, playing on a top quality real acoustic grand piano is a fabulous experience especially if that grand piano is a Steinway, Yamaha, Kawai, Bosendorfer, Boston, Essex, or any fine grand piano. However unlike digital pianos, you cannot plug in headphones to a regular acoustic piano for private practice, you need to regularly tune an acoustic piano, and you are limited to just one single piano sound as opposed to a variety of great piano sounds and features that good digital pianos have these days. Go here for more info on differences between an acoustic and digital piano: Digital Piano or Acoustic Piano - What should you buy? If you want more info on new digital pianos and Lower Prices than internet, Amazon, and US store prices, please email me at tim@azpianowholesale.com or call direct at 602-571-1864. I have been reading all your reviews and learned a lot. I like to know for piano learning with app would you favor Yamaha NoteStar or Roland DigiScore since each is a propitiatory software or is it better to get and new Ipad pro and use other teaching apps? Roland Digiscore is not really an educational app (it does basic flash cards) and can only be used with certain Roland pianos for music playalong. Yamaha Notestar is a music playalong app based on a huge variety of sheet music and songs which can be purchased in a on-line sheet music store and the Notestar app works for all USB capable digital pianos of all brands. 3rd part instructional apps can be used for any digital piano with USB compliant output connection. Hi - thanks for writing such informative reviews ad comments. I have a Korg C-15 which I played poorly but enjoyed. It is over 20 years old and the electronics stopped working - I brought it to a local repair shop who cleaned up some leaking capacitors and it played well for a couple of weeks. It is now back in the shop and I doubt that it can be fixed. I am looking for something basic, with a good sound, weighted keys, not lots of bells and whistles, that looks as good as the Korg did in the living room, and would cost under $1500 (which is about $2000 Cdn these days). I would prefer to buy it locally (Montreal Canada). I read your recent column on pianos between $1000 and $2000 which is very helpful. Once I make a decision, where would you advise me to buy it and are there ways to find what I want at a lower price? Joyeux fêtes.